The Moro Foundation is committed to the development of the IB program in Slovenia. This community currently represents over 300 students from 40 nations. Your donations will enrich the educational experience of children coming from donor countries. 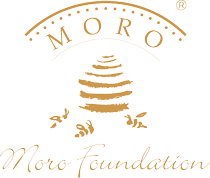 The Moro Foundation supports the educational programmes and needs of students in IB international schools in Slovenia. The Foundation’s support programmes contribute to the quality of education, developing international awareness, lifelong learning skills, and improving the social lives of children and teenagers who are far away from their homes, families and social environment. We are proud to announce that one of our supporters is Her Majesty Queen Rania Al-Abdullah of Jordan. For the 2010/11 school year we plan to raise funds for computer equipment on behalf of students and teachers at Danila Kumar Elementary School. We would like to buy 40 new computers to ensure that students have up to date and relevant equipment and resources. All donors will be thankedon our web page, www.morofoundation.org, and those who donate enough to buy one or more computers, will be given logo placement on the new equipment, as a sign of their contribution, and be further promoted on our webpage. Moro&Kunst and their customers have already raised additional 10,120 Euros, after expenses for our educational support programmes during the 2009/10 school year were covered. We would really appreciate your support to realise our expanding programmes by encouraging your employers and business associates to participate in our fundraising efforts. "I'm not an Athenian or a Greek, but a citizen of the world." In order to use this website we use the following technically required cookies: wordpress_test_cookie.